I haven’t done a ‘blogging tips’ post in ages, however I’ve recently become absolutely addicted to Pinterest and have seen my blog traffic just explode! I’ve actually had my account for years, however in the short time I’ve been actively using it that my blog traffic has grown drastically, and all of these hits are from Pinterest. Also – who doesn’t want to spend time pinning beautiful pictures, gathering creative, fun ideas and just generally entering into a whole world of loveliness for a few moments. It’s got to be the best social network for that, Twitter and Facebook both get me down with some of the mindless tweets/posts, not to mention drama, so Pinterest is a total escape from that, you can drift off into your own world and Pin to your hearts content – drama free – and promote your blog posts at the same time, it’s actually pretty damn amazing. 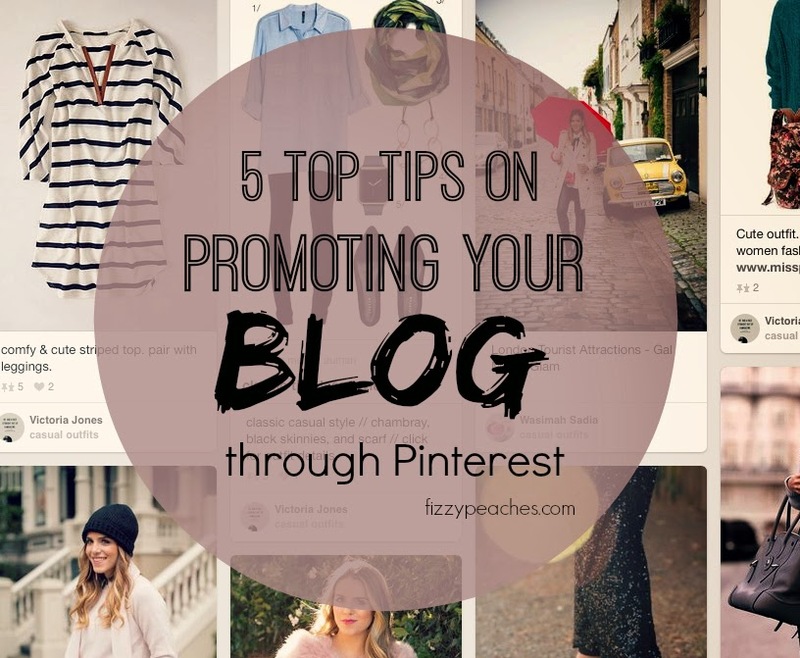 With all that in mind, I’ve put a few top tips for using Pinterest to promote your blog. There are lots and lots more, but so far, this is what has worked for me…. 1. Use Pinable Images – Chose high quality, eye catching pictures to pin from your blog. Vertical images work best on Pinterest (yes, I know blogs are all mainly landscape, this is my eternal dilemma!). Pin these onto multiple relevant boards, although space them out throughout the day as you don’t want to continually spam your followers with the same image. 2. Have a Pin-it button – Install a Pin-it button on your blog, this allows your readers to hover over your page and Pin images for you, generating links back to your blog. The easier you make it to share your posts, the more likely readers will. 4. Use descriptive titles and add alt-text to images – When you add an image to your blog, make sure to give it a descriptive title and fill in the Alt-text, as when a reader pin’s your image, this will be the text that is brought with it to Pinterest. 5. Schedule Pins – I am only just getting into this, but you can schedule Pins using tools like Viral Woot. Scheduling pins means your are active throughout the day (even when you might be busy) getting your pins out there at the optimal times to catch your target audience. I’m finding my feet with this one at the moment, but it’s a great idea for me as I work full-time so can set this up to run whilst I’m at work during the day. So, thats my tips so far! Happy Pinning! This is great advice! I am new to blogging and I knew that Pinterest was one of the ways to “get out there” but I was unsure on how to make it work for me. I work full time as well so having a tool that will allowing me to schedule my posts….mind blown! Thank you for all the time and effort you put into your posts.